The US Energy Information Administration (EIA) estimates Mexico’s shale gas reserves at 683 trillion cubic feet (tcf), roughly a quarter of US reserves. At present, PEMEX has a monopoly on the extraction of hydrocarbons on Mexican soil, protected by article 27 of the constitution. To date, PEMEX has drilled one shale gas well, and expects to drill three more by 2013. It’s longer term aim is to drill 4,000 wells to yield 1 billion cubic feet per day (bcfpd). Based on current estimates, this is equal to one sixth of total current gas production and roughly 9% of expected demand for gas by 2025. As recently as 1999, national production equaled demand, but production has not kept pace with demand, particularly for electricity generation. By 2009, Mexico was importing 1.26bcfd, more than a fifth of its consumption needs and growing. A third of this is imported by PEMEX, 40% by private companies and the remainder for electricity utilities. Mexico has a long tradition of oil production, and resource nationalism. Vested social and political interests have combined to protect the PEMEX monopoly despite increasing strains on its financial and technological capacity for re-investment, innovation and exploration. PEMEX contributes a third of Mexico’s annual government revenues. Oil production and proven reserves have both thus fallen in recent years, and Mexico could become a net oil importer by the end of the decade without remedial action. Mexico’s gas industry faces similar challenges, and the fate of both industries are inextricably linked. Indeed, Mexico only has 5 years of proven gas reserves remaining. By developing the capacity to tap its unconventional gas, and deep sea oil, reserves the country could secure its long-term energy independence. The National Energy Strategy ratified by Congress does not contain a long-term production goal. Gas does not have the same political salience as oil at present, but its exploitation is governed by the same constitutional restriction (Article 27). Thus the imperative for reform of the legal framework for exploiting gas reserves, certainly insofar as asset ownership is concerned, will necessarily follow that of oil (more on this here). In honour of the 74th anniversary of the expropriation of private oil interests, and the creation of PEMEX, the three front-running candidates for the July 1st Presidential elections set out their stall for energy reform. Oil and the fate of PEMEX were the key focus, gas hardly figuring, and unconventional gas not all. In summary, AMLO resists any reforms that resemble privatization and advocates increasing fuel subsidies for consumers. JVM proposes floating a minority holding on the stock exchange and introducing ‘citizen bonds’ to attract private capital. She was the only candidate to address gas directly, advocating the expansion of the pipeline network through public private partnerships under recently enacted laws. EPN, the front-runner paints himself as the pragmatist between two ideological extremes, but provides little in the way of concrete policy proposals. Unlike JVM, he does not propose changing the constitution, seemingly a moderation of his late 2011 position (highly publicized in the FT). EPN retains a healthy lead in opinion polls ahead of the campaigning season which will officially commence at the end of March. However, he has been hemorrhaging support to JVM in recent months, with one poll putting his lead as low as 7%. Support for AMLO remains moribund below 20%. While a PRI Presidency backed by a Congressional majority or near-majority may be better placed than a PAN Presidency to deliver reforms, its commitment to reform should be judged to be more shallow. Any substantial reforms would require a broad coalition, including significant support from PRI legislators and Governors, regardless of who wins the Presidency. While constitutional change relating to the exploitation of gas cannot be divorced from the debate on oil, legislative reforms may be easier for gas than for oil – if viewed in isolation rather than as a comprehensive package – given its lower political salience. Indeed, the (downstream) gas sector in Mexico already has significant private sector involvement. This may create opportunities for smaller oil operators and service providers to partner with PEMEX in upstream operations, but not sufficiently attractive to major IOCs. Opposition is likely to come from the PEMEX trade union and from the political left. PAN could not credibly oppose substantial reform under a PRI Presidency, but a PRI President is less likely to propose them. A PAN President would have to secure broad political support, while PRI would not have the same incentives for or commitment to reform. Given Mexico’s ‘closed shop’ for hydrocarbon extraction, the investment climate can only improve from the perspective of IOCs. There will be no reform before 2013, and realistically not before 2014 at the earliest. However, while Mexico’s oil reserve position is of concern, its gas reserve position is critical, with only 5 years of proven years remaining. The impetus for gas reform is therefore more pressing. Moreover, reforms that facilitate the ramping up of gas production could reduce the impetus for (more politically challenging) oil reform by easing supply constraints (for electricity generation). Over a 10-15 year time horizon, and possibly sooner, substantial reforms are likely inevitable given PEMEX’ technological & financial constraints. Any sustained moderation in oil prices would increase the impetus for reform by threatening Mexican fiscal sustainability. While the impetus for oil sector reform is negatively correlated with the oil price, the impetus for gas sector reform is positively correlated with the price of gas (and possibly negatively correlated with the price of oil for reasons outlined here!). Additional regulations, norms and standards will be needed to administrate shale gas wells covering design, location, spacing, operation & abandonment. These can be legislated under the current constitutional framework. While vocal opposition can be expected from environment lobby groups, they carry little political salience and their concerns will be overridden in the interests of economic expediency. 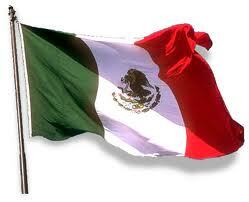 This entry was posted in emerging markets, Mexico, Political Risk. Bookmark the permalink.